This was my first-ever long distance cycling trip. My husband, Rich, had done several and finally lured me with a fine new bicycle and an irresistible travel itinerary. 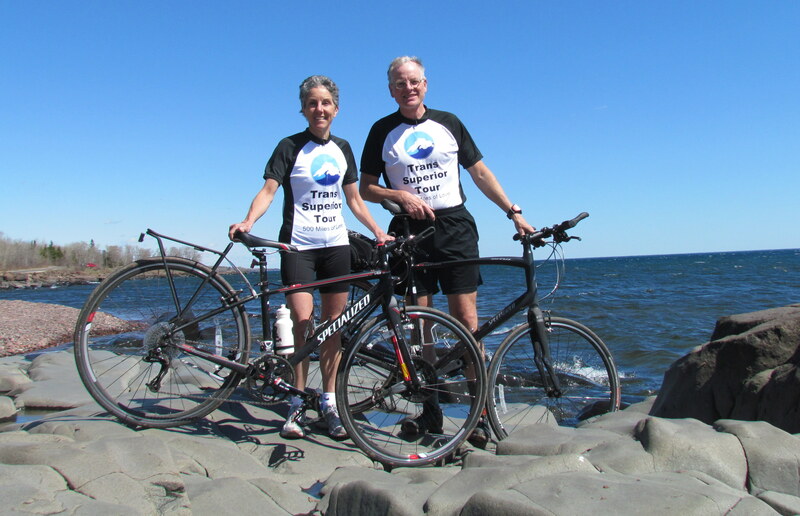 After months of training on my part (it’s just not in my nature to take anything lightly) and rigorous planning on Rich’s, we set off in August 2012 to circle the western end of Lake Superior. The ingenious aspect of this route was the use of the Isle Royale ferries to transport us across Lake Superior’s mid-section. The result was a trip that could be done in a week’s vacation and avoided the treacherous sections of the Trans-Canada highway north of the border. Result? I’m hooked! We had a fabulous time with perfect weather, (can you believe the wind was always at our backs? truly, it was! ), fun sights to see, great lodgings, plenty of good food, and interesting people we met along the way. And of course beautiful views of Lake Superior. I will admit that the ferry from Copper Harbor to Isle Royale offered bigger waves than my system could handle, but even that was part of the adventure. Below are daily accounts of our cycling as well as a review of all the restaurants and lodgings we patronized. In addition, there is a link to all related posts leading up top the trip. If you would like to read Rich’s view of the trip, there is also a link to his daily blog posts. And finally, I have included the detailed maps of our route. Day 2 – Bayfied WI to Ironwood MI: Cycling Sights – A Purple Cow? 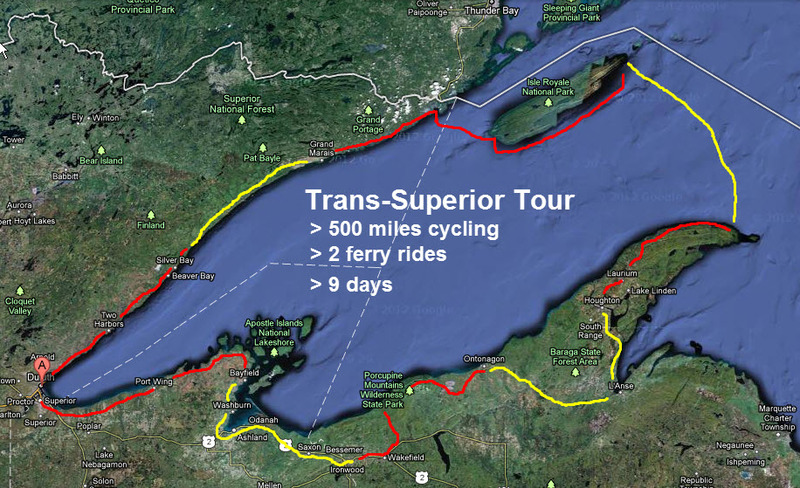 All Related Posts – All blog posts related to the Trans-Superior Cycling Tour, including those leading up to the trip. Rich’s view of the trip – He posted to the Crazy Guy on a Bike website, which is a widely used portal for long distance cycling trips. Detailed maps of our route – This includes the actual route followed based on our Garmin GPS devices, with mileages and elevations. That is followed by larger scale planning maps to depict the mile-by-mile route we planned to take.